4 Benefits Of A Home Security System | Calgary Alarm Inc.
Home security systems mean a safer home and better protection for your valuables, but there are many other ancillary benefits from being closely connected to home. It’s a tool for improving the experience of being a homeowner; so let’s examine the subtle benefits of home security systems. Cleanliness and appearance of the home on the outside. For people who travel frequently, having a problem arise at home presents a difficult situation because it can mean choosing between cutting a trip short to return home immediately and delaying a resolution to the problem. Your home security system can deliver up-to-date information on your home regarding thermostat, flooding, and fire emergencies as well as attempted break-ins. With that information the proper authorities can be notified and the appropriate repairs can be arranged. 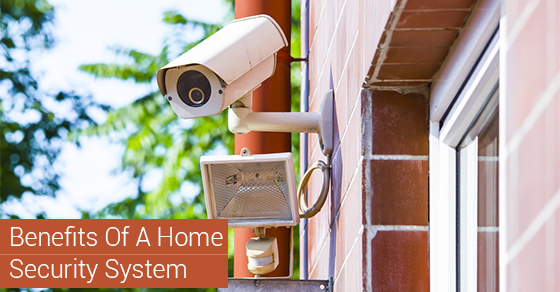 Home security systems are becoming more versatile to help homeowners stay informed. Keep an eye on your home without being at home all the time.